Disclaimer: If you don’t know anything about voice acting and Troy Baker in particular, you probably won’t enjoy this short story to the full extent that it can be enjoyed. 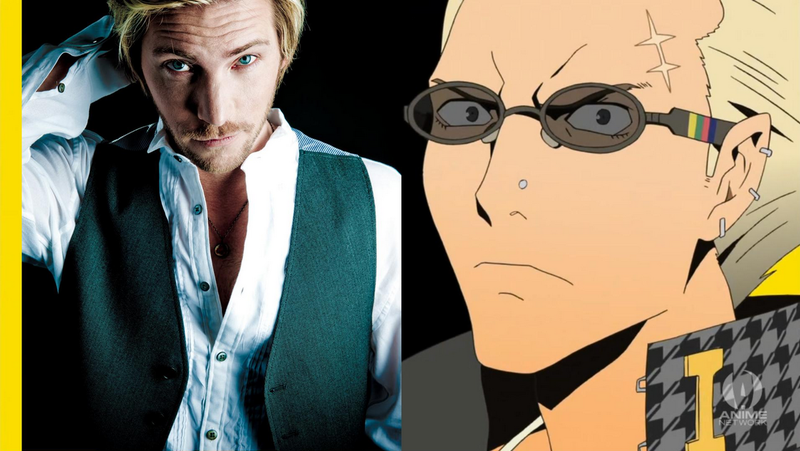 All the context you need to have is that Troy Baker was a small time voice actor who hit it big and does less roles for obscure projects. Troy Baker lies in his bed but he can’t sleep. Or he doesn’t want to. He’s not sure yet. All he knows is that he came home after recording lines for the protagonist of the latest Call of Duty game, and that means that sleeping will be hell. He did voices for the new Call of Duty game, so that means he is going to pay him a visit again. He does not question it, he just knows that it is a natural consequence of his actions of the day, just as it is a natural consequence for his body to seek rest. He hates the lack of control, he wishes he could either stop getting visits from him all together and just sleep, or that he could somehow will his body to not sleep at all. He chuckles to himself, remembering a character he once played with a similar dilemma, but he steels himself; determined not to succumb to his tiredness. But it’s no use, and without even realizing when or how, Troy Baker closes his eyes and goes to sleep. I didn’t want it to turn out this way. I didn’t want them to know of my most intimate smell. It happened so suddenly and I wasn’t thinking so I let it out. But I knew almost immediately after it happened that I could have stopped it, that if I clenched hard enough… No. It’s best not to think about “what if’s” and “if only’s”. Not now, especially not now after what happened. But before it all went down (or it all came out rather) we were all laughing and having a good time, sharing jokes, partaking in the creation of good memories. I remember thinking about that piece of bread I left in the toaster back home, wondering if my mom would eat it herself or set it aside for no one in particular. I was in the midst of arriving at my conclusion when suddenly it happened. An eruption. I expelled the most noxious gas I’ve ever smelt, a rancid odor far beyond my imagination. And the sound… Oh that sickening sound. Almost like a dying banshee, moaning towards the waning moon, my flatulence sounded more like a ghostly wail than any sort of natural bodily emission. There were 6 of us cramped in that minivan, all moments before excited about the Halloween party we all hoped to attend, now overcome with the most terrible sensation we have ever experienced: The Smell of my Shame.